To celebrate what would have been the artist’s seventy-second birthday, we look through Dangerous Minds’ archives and find footage from Freddie Mercury’s legendary bash held at Old Missus Henderson’s club (closed in August 2008) in München in 1985. 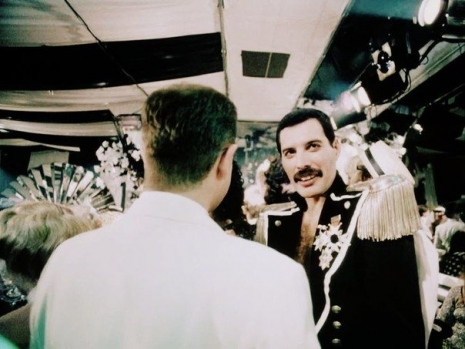 Invited guests were instructed to dress for the drag ball in black and white and parts of the party’s proceedings were incorporated into the music video for Mercury’s Living on My Own. At the time, Mercury lived on the nearby Hans-Sachs-Straße in the borough of Ludwigsvorstadt where Oktoberfest is held.